My name is Aga Baczkowska. I graduated from an English Department at the Jagiellonian University in Kraków. I started my professional career teaching English at one of Kraków secondary schools. 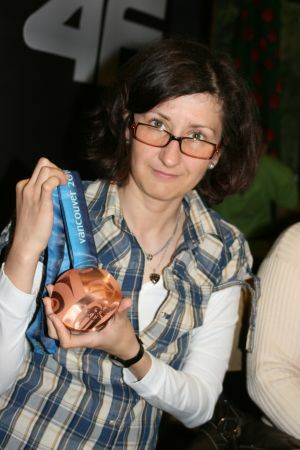 In July 2001 I moved to a unique place of Zakopane, to start a completely different life and follow my new profession in sport and tourist business. I worked at local Tourist Information Centre first, then a couple of travel offices and tourist companies, gaining the know-how and knowledge necessary to become an incoming specialist and a local guide. I have been working as a local guide for over fifteen years now, specialising in English speaking customers, doing tours for such well known and established tour operators as: Crusader Holidays, Travelsphere / Just You, One Traveller, Stay Poland, in the past also working for Edwards Coaches, Exodus, Leisure Breaks, Legato Tours, Tauck World Discovery, Eastern Trekker. I am a licensed tour manager (December 2013). I have graduated from Beskidy Mountain Guide course. Between 2001 and 2009 I worked for local Tatra Ski Federation, where I was responsible for sport event organisation, as well as international matters. I am a national skiing judge (international rank), jumping judge, national technical delagte in ski jumping, as well as an FIS ski jumping technical deleagte (from October, 9th 2010). Between June 2010 and June 2014 I was a member of the FIS ski jumping sub-committee for calendar planning. I cooperate with Polish Ski Federation running courses for skiing judges, technical delegates, chiefs of race offices, chiefs of competition. In the season of 2011/2012 I worked as a semi-professional FIS technical delegate assistant for the FIS Ladies Ski Jumping World Cup. Between 2012 and 2014 I was contracted by the International Ski Federation as a Race Director Assistant for Ladies Ski Jumping World Cup. Since May 2014 I have been working for FIS as the Coordinator Ski Jumpin Ladies. I have been working for Silesia-Beskidy Ski Federation in Wisla since summer 2009, first as Chief of Race Office, presently as Chief of Competition. In 2015 I have asumed cooperation with Tatra Ski Federation at organisation of international ski jumping competitions. I am a licensed Sport Manager (June 2013). Presently, I manage my own business. My company, TATRA SPORT, specialises in tour and sport event organisation, we also provide all kinds of linguistic services, like translation, interpreting, escorting. Should you be interested in any of the above, visit our website and its relevant sectors to find out more.